Longstanding GOP front-runner Donald Trump has fallen behind rival Ted Cruz in a new national poll. A new NBC poll, conducted after Trump’s victory in New Hampshire, found that Texas Senator Ted Cruz was the first choice for 28 percent of GOP voters, and Trump the first choice for 26 percent of voters. Florida Senator Marco Rubio trails behind in 3rd place with 17 percent. The poll shows a decisive reversal from the numbers last month, when Trump led Cruz by 13 points. However, don’t expect this to take the momentum out of Trump’s campaign. A new Bloomberg poll of South Carolina, which is holding its primary next week, had Trump with more than double the support of Cruz, 36 to 17 percent, in the state. The governor of South Carolina, Nikki Haley, today endorsed the rival of both Trump and Cruz, Florida Senator Marco Rubio, CNN reports. The NBC poll also shows both Cruz and Rubio easily trouncing Trump if it were a two-man race. 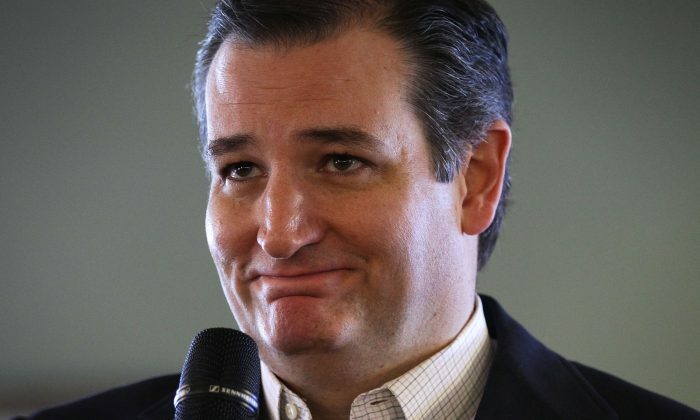 In a hypothetical one on one, Cruz would beat Trump 56 to 40 percent, and Rubio would beat Trump 57 to 41 percent. But another recent poll, by Morning Consult, has Trump where has been for months, on top. Also conducted after the New Hampshire primary, but with a larger sample than the NBC poll, it gave Trump 41 percent of supporters among Republicans nation-wide, and Ted Cruz far behind at 12 percent. But like the NBC poll, it showed that Trump had a slight drop (3%) in popularity in the past week.